Our Chef’s John Jezewski and Olle Isaksson are passionate about local produce and being out in nature. 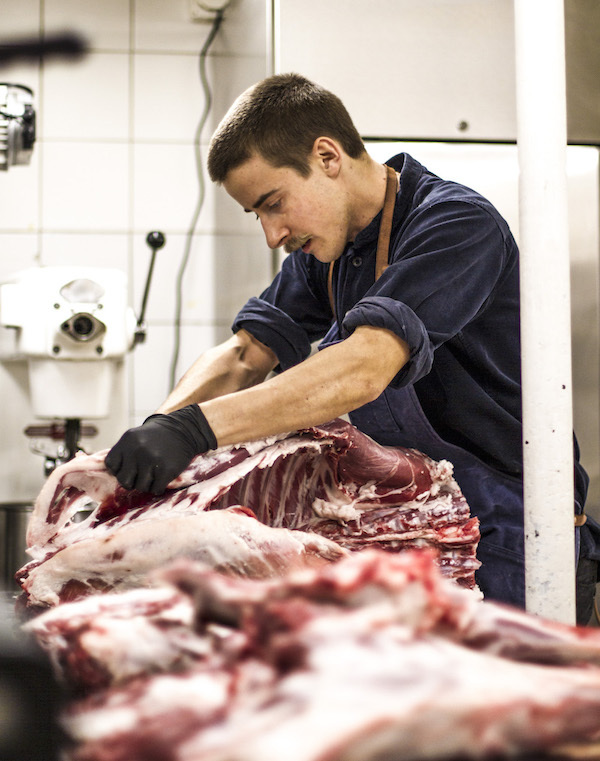 Long before they arrived here they worked in high-end restaurants in Sweden with focus only on seasonal crop and protein. They are snowboarders to the bone with a talent for interesting combinations both on and off the mountain. To ensure they have the best possible products to work with they travelled around in our region during autumn to find farmers that spoke the same language, regional – local – and if possible – organic. 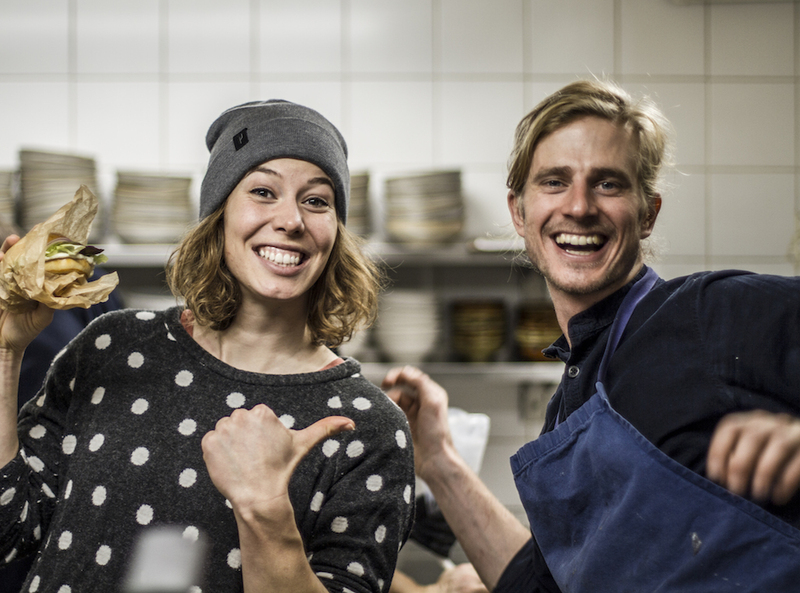 During their first months here at Brasserie Konrad they managed to accomplish a lot. Local sheep were found after talking to a couple of friends in the bar, some herbs were picked in Laub and our friend Linda’s parents have dexter cows up in the mountain. In the end, it is all served on your plate. With Love and dedication. We took the chef’s aside from their busy schedule to have a chat and started from the beginning. When and how did your interest in cooking begin? – When I was 12 years old and did my first internship in a kitchen, From the beginning it was really the atmosphere in the kitchen that I got stuck for and The interest in food grew stronger the more time I spent in that environment. – My interest in cooking started as an 11-year-old. I noticed that I had a desire to create, I was very energetic and had difficulty sitting still. I had a hard time concentrating in school and ended up in a lot of trouble. Then I instead started cooking with my mother at home in the kitchen, we wrote recipes and sent it into different newspapers, we had great fun together and the family, of course, was happy to eat what we created together. I really liked making my family happy by cooking for them. Creating feelings among other people through cooking is what I still drive myself as a chef to this day. What are you passionate about in your privet life and in cooking, are those separate? – I love nature and the mountains. I like to spend weeks for myself in a tent on a mountain, a lonely island or in the forest. My biggest interests outside my job are snowboarding, skateboarding, downhill cycling, sea kayaking, hiking and music… to mention a few hobbies. Some of my biggest drives are to create a fantastic & memorable dining experience for our guests. An endeavour to develop Western food culture and make people think more sustainably in how we eat and consume food. To challenge to broaden people’s prejudices about what can actually be used in cooking. And of course, always challenging myself and developing. I don’t believe these passions are separate, they are combined in my life and that’s how I would like it to continue. – My biggest interest outside the job is to go snowboarding. I also enjoy being out in nature, travelling, surfing, climbing, skating and listening/playing music. Dancing is fun too! What is your philosophy about the products you serve? – We work sustainably and with the greatest respect for the produce. We are constantly looking for the best local produce we can find. We work exclusively with Swiss protein and as near-produced as possible. This naturally guides us into working on a seasonal basis, which means that during the winter it is a more protein-based menu. while the summer half lets us work more vegetable-based and with lighter flavours. What is most important, from your point of view, when it comes to produce in Switzerland? Do you see any opportunities for development in the wholesale businesses? – It is mainly that more restaurants really should take advantage of the fantastic & sustainably produced raw products that are found around the country instead of importing it from all over the world. This, I think, must be an interaction between both consumers, restaurants and suppliers. When consumers put pressure on the restaurants and create a demand, they will, in turn, push the wholesalers to start taking advantage of and include the domestic raw materials that many of them now seem to neglect because of its lower profitability than the imported raw materials. The menu is available on our website, and to book a table you just click the link here! John taking care of a local sheep.